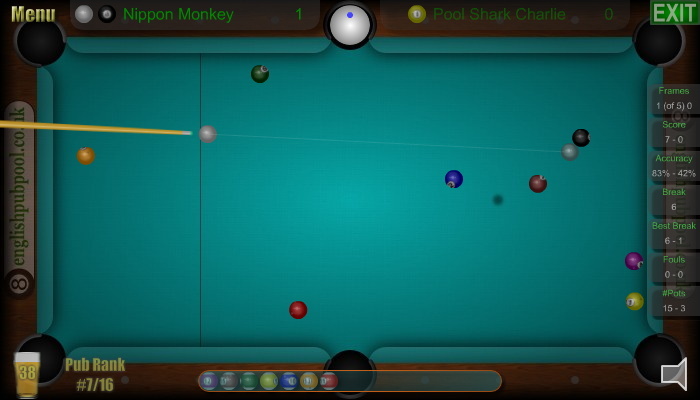 Play 8-Ball and Straight Pool tournaments against 15 computer players. There are 6 cups to be won on your way to becoming the pub champion. Play pool against the computer. Speed, accuracy and excellent shot selection is needed to get top scores in the challenges and time attacks. Are you the fastest and most accurate player in the world? 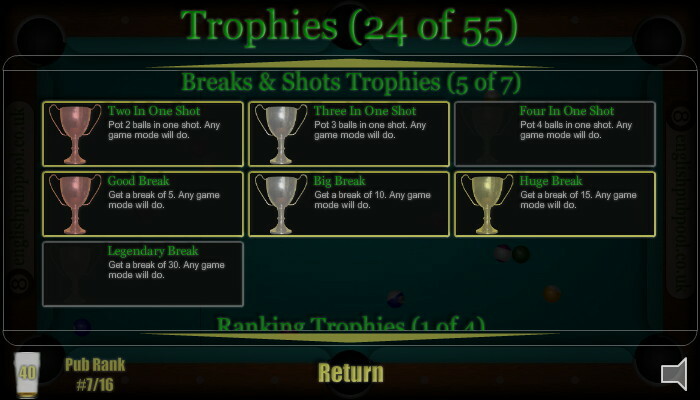 Win 8-Ball Pool and Straight Pool tournaments against computer players to unlock harder ones and improve your Pub Rank. Win trophies by winning tournaments, making big breaks, getting top scores and shooting special shots. 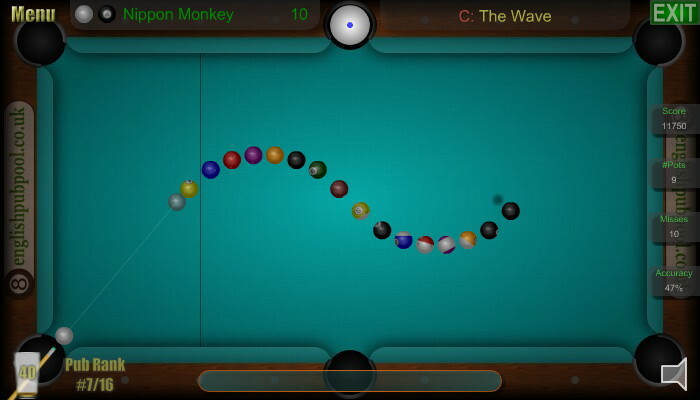 Can you fluke the 8-ball off the break? 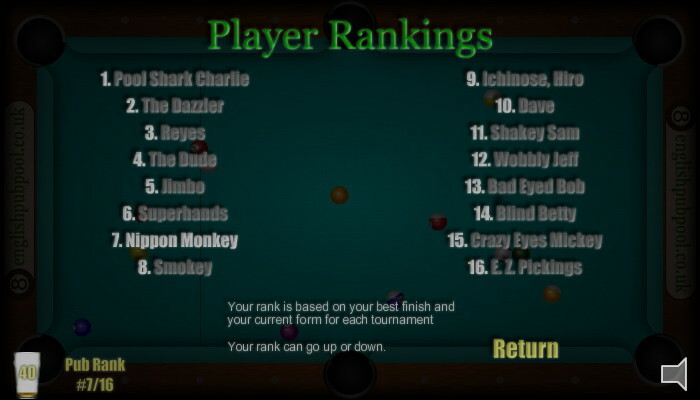 Your pub rank is based on your best results in the pool tournaments and your current form. Your pool rank can go up and down - are you good enough to become #1? 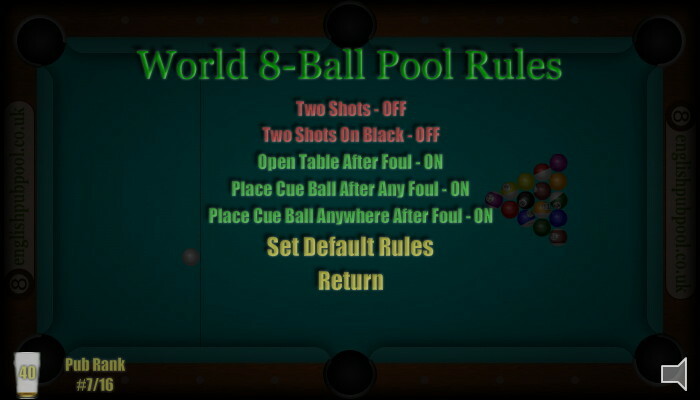 The 8-ball default rules are the same as the World 8-Ball Rules played in professional competitions. In the game options you can alter them to match your local rules. 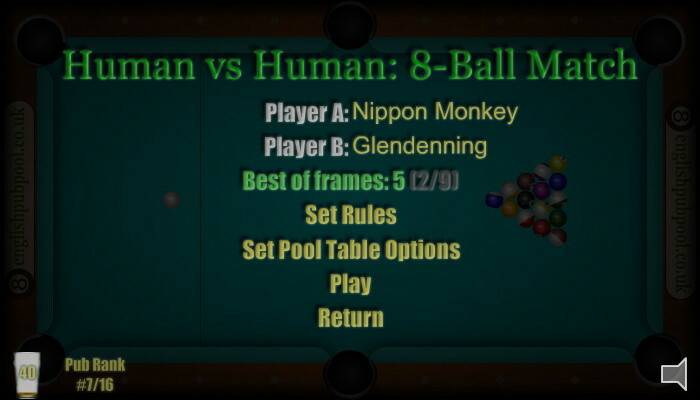 Play single pool matches against your mates at home (Human Vs Human in 8-Ball Pool or Straight Pool Matches). 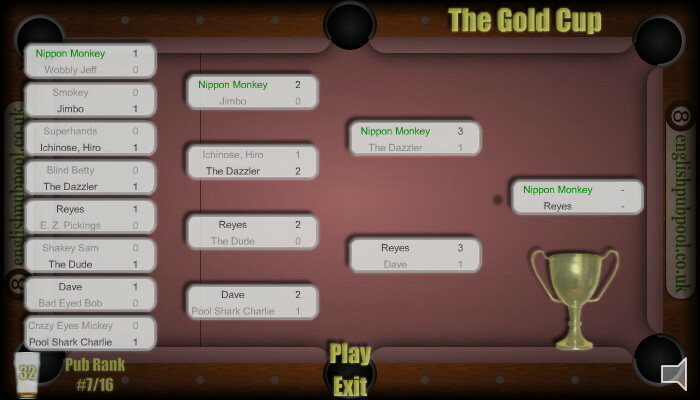 You can choose the table type and change the 8-ball rules before playing.